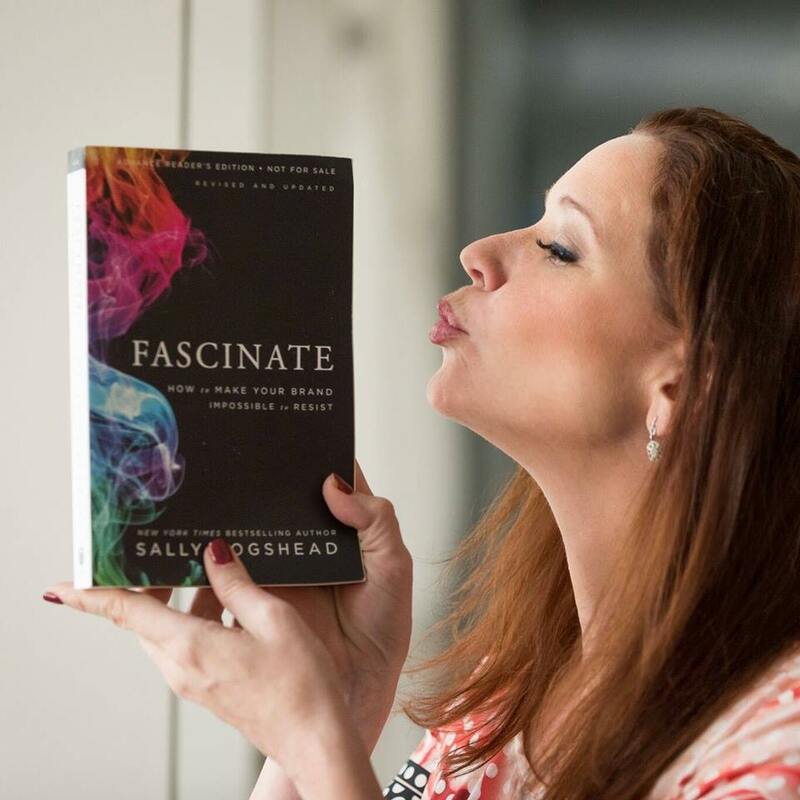 Sally Hogshead quickly became successful in the advertising profession when she started out in her 20s. As a copywriter, she loved working with different brands and finding out what makes them fascinating. And that’s a word you’re going to hear and read a lot during this interview. Not just because she is fascinating, but also because she’s spent years researching the science of fascination. Sally knows the struggles of the entrepreneur. When it comes to getting your business known, you are not going to be able to match the advertising investment the big brands manage. But that doesn’t mean you just shouldn’t waste your time. Accept that you have a smaller budget, and instead focus on finding out what makes you and your brand so fascinating to your prospective customers. And that’s when you make sure you stand out. Don’t try to match what everyone else does. Be bold, be different, and be fascinating. That may sound a bit of a daunting task to start with, but luckily for us, Sally is here to tell us exactly how we can all become fascinating; including our customers. Plus she has a special gift which you can use to help you actually put what she says into action. How great is that? Big companies can afford to hire big ad agencies, pay for their morning cappuccinos and buy them all big dinners. They can spend a year testing and travel world talking to various focus groups. Plus they have money to spend on a cinematic TV advert as well as a spot during the Super Bowl commercials. But in the real world, we don’t have those kinds of budgets with silly money to spend. In fact, as entrepreneurs starting out, we’re lucky to have someone on the team who even knows anything about marketing. As an entrepreneur, you find that you’re doing everything and wearing all kinds of different hats that don’t even fit you. And unfortunately, you can end up damaging the business, or at least have a blood-stained wall from where you’ve been banging your head endlessly. The alternative can sometimes mean going broke to hire someone to do it for you. But hardest of it all is to look at the business brand objectively. However, we should understand what makes our brand, and ourselves, compelling. What is it that makes it unique and gets your customers choosing to give you their hard-earned money? When you know that, you’ll easily fall back in love with the business. But also, it means you’re not marketing from scratch. You have something which you can build upon. You can then infuse who you are into everything you do. That way, it doesn’t feel like every other piece of marketing your customers are receiving. It’s far more effective than trying to compete with the big guys. It’s branding for people who can’t afford it with a capital B, and something which the rest of us can actually achieve. As a copywriter in her junior years of marketing, she loved looking at a brand, person or concept and describing it just a few words. She has a skill at finding the hidden gem. She can articulate something which is meaningful to the prospect which will make them take action, talk about it and have a connection with it. And with the knowledge of what those few words are, you expand upon it. You can then inject those qualities into every interaction your customers have with you. After all, to be more successful, you don’t change who you are. Instead, you should be more of who you are. That could be the hold music you choose for your people ringing you, and sleek office lobby, or a unique way of signing off every email. Even down to the way you send the receipt every month. Own every moment of interaction you have with them because it’s a tree which hasn’t been peed on, yet. Sally manages to fascinate her customers when she hands them her business cards, and it is something they won’t forget. They feature seven pull-off tabs, and when she hands them out, she takes off the one she feels applies to the person. It’s a creative idea and says something about her and her concept. And although they cost her $2 each, she has made half a million back in revenue. In fact, that averages out to $48 profit from every one she has given out. They work because people keep them. They don’t get thrown away or put in the back of a drawer to never see the light of day again. They are talking about this cool business card they were given and showing it off to everyone. 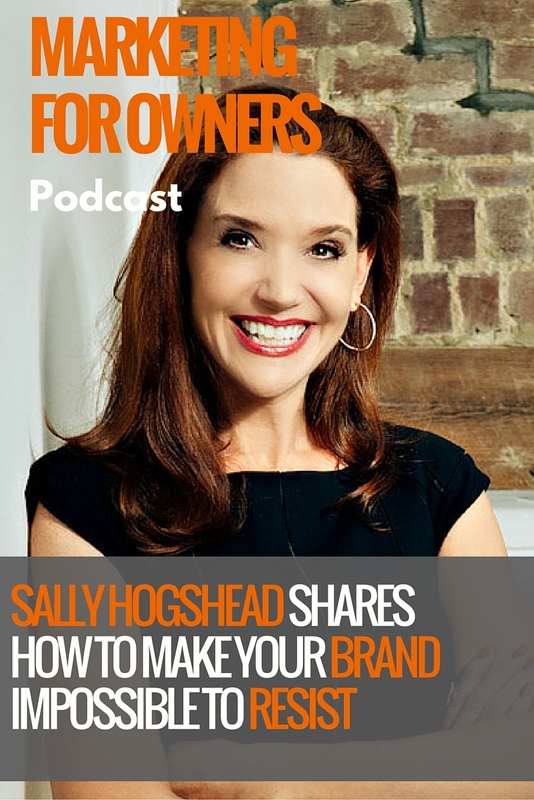 Sally shows that branding isn’t about having a big budget. But you cannot afford to be boring because everything you do needs to work hard for you. Engage with people as if you already have a relationship with them, but without forcing yourself upon them or just reading from a dreary script. This doesn’t all just come from nowhere. Sally has actually researched it. People love fascination. But they really like to feel fascinating, rather than being fascinated. Her research asked 1,000 American women how much they would pay to be the most fascinating woman in the room. And she found that they would pay more than they would for food and clothes, combined. So in other words, they’ll give you more money if you make them feel fascinating. And that’s exactly what she aims to achieve with her business cards. She spent three years researching, planning and writing her 2010 book Fascinate about brands. However, it then took 6 months for the book to get printed, in which time she could not tweak or revise her book, and was getting itchy fingers. It was her husband who then suggested that maybe she could apply the same logic she had on brands, but on people. And from that was born her Fascination Advantage assessment. Since then, she has had almost 1 million people measure their personal brand and find out how the world sees them. And she only recently revised and updated her Fascinate book to include the personal brand as well. There are 7 different ways people express their personality through their brand. Sally says these are power, trust, prestige, passion, mystique, innovation, and alertness. She is a passionate person. This is something you hear in her voice, in the stories she tells, and even the hand gestures you can’t see her making. But this is us look at her during her best when she’s doing something she’s good at. She admits that she too has weaker elements to her personality, such as her attention to detail. When you know your strengths and weaknesses, this allows you to better focus your efforts. And when it comes to business, it can help you feel energized when you go back to doing those things. And that’s far better than feeling worn down at trying to do everything, as you’re ineffective if you’re drained. This is something which Sally helps people to figure out with her Fascination Advantage assessment. It helps you to see what your customers and prospective think of you. That way, you can then turn your attention to making that more so. It turns out that opposites do attract. For example, take Sally and Jon. They would actually make the perfect team. We already know that Sally is a passionate businesswoman. But when Jon took this assessment, he found he was a ‘Wise Owl’, meaning he scored highly in the areas of trust and mystique. However, these are Sally’s weakest areas, and vice versa. That means together, they would complement each other. The disadvantages of one are offset by the advantages of the other. 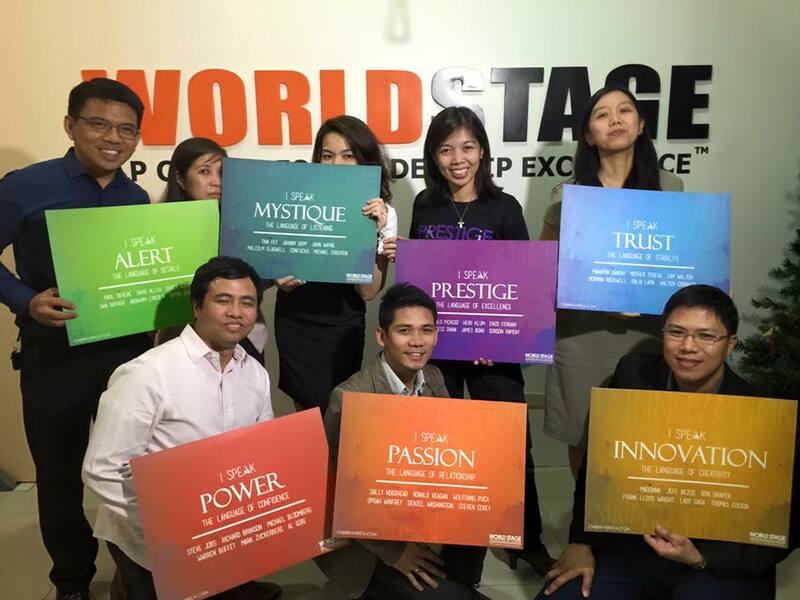 So when you’re putting together your team, you want a range of skills across the whole board. Don’t hire to replicate yourself, but instead to optimize. You can’t be extraordinary in that one area if you’re trying to be everything. Sally now hires according to their Fascination Advantage score, rather than based solely on their résumé. You can train someone to have certain skills, but you cannot change the person they are. It’s a good idea to put your team at work through the Fascination Advantage assessment, or that the next time you hire someone, you ask them to take the quick test. You can then all print out your individual results talk about how you can work together and motivate each other. It will allow you to share responsibilities effectively so that you can all strive individually. That then means that the team, as a whole, will enjoy higher levels of success than they otherwise might. You could even put your friends and family through it but just bear in mind that you are stuck with your family, regardless of the result. And exclusively for our readers and listeners, you can receive an express Fascination Advantage report for free. All you need to do is visit howtofascinate.com/you, and enter the code ‘MFO’ along with your details. Give this code to your colleagues, friends, and family, and they too can receive a free report. Just make sure you all use the information you receive to better focus your work output on receiving greater rewards. For more information on the assessment, you can also visit the How To Fascinate website. There you will also be able to find lots of useful information, including blog posts on how you can start fascinating your customers today. You should also check out her updated and revised version of her book Fascinate: How to Make Your Brand Impossible to Resist. It’s full of useful material which expands on everything, and more, Sally has covered today. Visit her website to find out how you can receive a bonus when you buy a copy.